These spinach bars are darn good. I got this recipe from, big surprise, the Junior League of Norfolk-Virginia Beach’s cook book Summer Evening Repast. They note that it is good “finger food” for a luncheon. I would probably use a larger pan to make them thinner if I wanted to serve them as finger food. 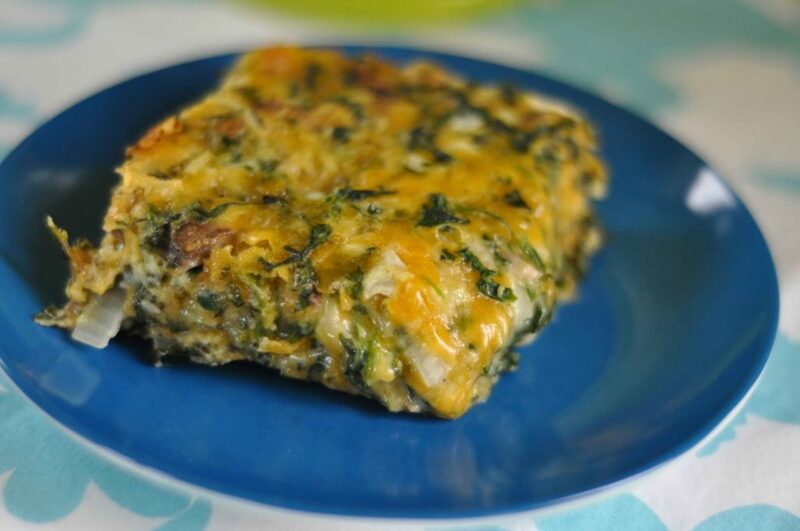 I thought it made an excellent side dish and was another clever way to get my kiddos to eat spinach. They even ate it as an after school snack it was so good. Spread the butter in a 13x9 inch baking pan. Mix the remaining ingredients and place in the pan. Bake at 350 degrees for 35 minutes or until lightly browned. Cool slightly and cut into squares. Serve hot or at room temperature. Yum! This was delicious!! Half my family wouldn’t touch it because they don’t like mushrooms or onions (they are missing out!) I loved it!! So easy too. Thanks for sharing the recipe!